In this turtorial you will learn how to use vector shapes in photoshop. Use both custom vector shapes that come with photoshop but also find out how to create a half moon vector shape from 2 circles by subtracting one from another. Create a new document. For this example I created a document 600 x 600 pixels at 72dpi. All the shapes we are using in this tutorial will be vector shapes which means that you are able to scale them up and down without losing any image quality, so you can create them on a small scale even if you think you may need to use them at a larger size later on. 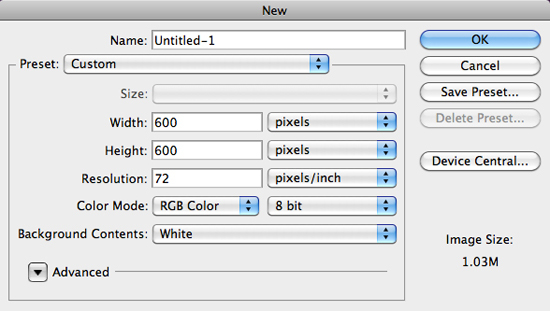 Create a new layer in the Layers Palette. To do this click on the icon to the left of the bin in the layers panel. Choose a suitable colour for the background. Click on the foreground colour area in the tool bar to access the colour picker. Choose the paint bucket from the toolbar and click into the centre of the canvas. 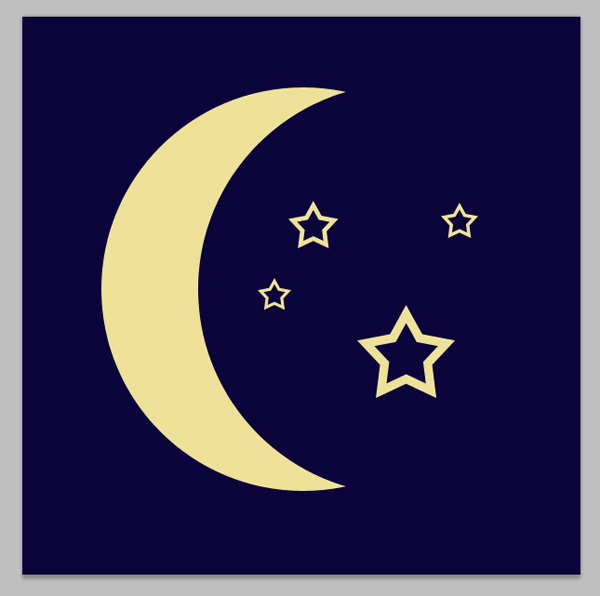 Repeat the colour change to select a colour for the moon vector. Click and hold on the vector shape on the toolbar and navigate down the drop down list to select the elipse tool. Click on the canvas in the top left corner and drag the mouse to bottom right to create a circle. To keep the circle in proportion – to create a circle instead of an ellipse press hold down the shift key throughout this step. This time you will need to start the process off the canvas. And drag the ellipse tool from top right to bottom left. Again press shift to create a perfect circle. This is the effect you should now have. To realign the second circle, choose the direct selection tool from the toolbar and click onto the outer line of the 2nd circle. To move the whole circle you will need to select points in the at the top bottom left and right. To select more than one at a time you will need to press the shift key as you select a new point. When all four points are selected you will be able to click again on one of the points and drag the shape to it’s new position. 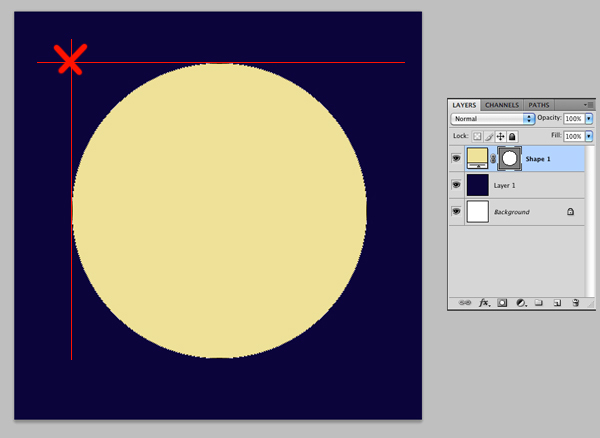 The final moon shape is shown below, to deselect the layer you can simply click onto a different layer in the layers palette. To create the stars you can choose a custom shape from the shapes menu. Click on the vector shapes icon in the toolbar and navigate down to custom shape tool. In the application bar at the top, click on the drop down shape menu. To view all of the shapes that you have to choose from in photoshop go to the play button on the right hand side and select ‘All’ from the menu. You can now click on the same drop down and choose a star shape from the menu. Make sure the first shape option is now chosen from the shape options ‘create a new shape layer’. Click in the area where you want a star and drag the mouse to create stars at the size you want. To keep all these shapes in proportion hold down shift as you drag the mouse. Didn’t know that we could subtract too.